For many reasons, as men and women age in Brisbane, there is a growing motivation to address wrinkles and skin lines on their faces. Ubuntu Medical has a number of different cosmetic medicine options available. One of the more popular options is Anti Wrinkle injections. So what does it entail? Injectable fillers, of which anti-wrinkle treatments are classified, is injected underneath a person’s skin (soft tissue) to reduce the cosmetic signs of wrinkles, making the skin appear to be smoother. It is important to note that the effects of these procedure are medium term in nature and last no longer than approximately 6 months. You will need to book in for another treatment In 6 months time if you wish to minimise wrinkles etc. Please also note that some people will require more than one injection to obtain the desired effects. The more pronounced your wrinkles are the more treatments you are likely to require. However, most people require only one treatment for the desired results. The anti wrinkle injections that our practice nurse in Brisbane performs are relatively painless. Our Brisbane north practice nurse uses very fine needles to inject into the relevant muscles. The effect of the treatment can last for up to 6 months. It is important to note that not everyone is going to benefit from these procedures. In the initial consultation, our practice nurse will determine whether this procedure is going to be beneficial for you. In your initial consultation with the practice nurse, they will explain all of the associated risks in much more detail to determine if you are a good candidate for these procedures. 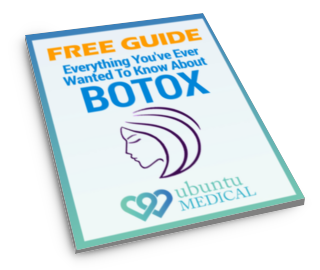 At Ubuntu Medical we also perform Botox Injections and dermal fillers.